The spectroscopic signature of a product, developed for PAT, may also be used in the field to determine whether a product is real or counterfeit. Counterfeit drugs cost the pharmaceutical industry billions of dollars in lost revenues every year. In addition to the economic impact, these counterfeit products endanger the health of patients. The problem is that there is no one type of deception. Counterfeiting may be as simple as an older "real" product relabelled and rebottled all the way to harmful materials being substituted for the actual product. Internet sales or prescription products allow counterfeiters to distribute spurious materials easily throughout the world. These may be attempts to mimic the actual product, using true active and similar excipients all the way through ground wallboard painted to look like the actual drug. When a shipment of drug materials is intercepted or a legitimate supplier has questions about his stock, there is an inevitable time lag between sampling the stock and finding whether or not there is a problem. Until recently, there were no rapid means of assessing the validity of a sample in the field. Some agents were using portable NIR or Raman instruments to identify pure materials in bags, but little was done with finished products. Since 2002, the US FDA has encouraged pharmaceutical manufacturers to control their processes in real time. The finalised Guidance has introduced the term Process Analysis Technologies (PAT) to the lexicon. In short, the FDA was encouraging manufacturers to go beyond the "three production lots then freeze the parameters" approach in use at that time. What was suggested (not required) was that measurements are taken in real time and adjustments be made to conditions to ensure continuous quality. This was later expanded to Quality by Design (QbD), where all raw materials, process intermediates, and finished products were designed and produced in what was called a "design space." That is, conditions of production were such that variations in raw materials, temperature, etc. were accounted for and modified to produce a "good" product. Good was defined as passing the release tests (i.e., dissolution, content, uniformity, hardness, etc.). Since these tests could not practically be run in "real time," another measure of goodness was needed. Since numerous non-traditional tests were being applied to the process, new "signals" were being generated. Techniques such as acoustics, thermal effusivity, ion mobility, LIBS, TeraHertz, as well as Near-Infrared and Raman spectroscopy were generating information, not formerly available, at an incredible rate. The outputs of these techniques were correlated with traditional parameters and became known as the "process signature." That is, if the process signature "looked good" (using multivariate math algorithms), then the product was quite likely well within release parameters. The idea of design space, that is where all the process parameters combine to give a "good" product, could be now realised. Formerly, a Design of Experiment (DoE) would give the effect of, say, hardness on the final product. This required a large number of experiments (often an entire batch for each) where the results were studied by Chemometrics/Statistics. Since the product was also spectrally measured throughout these experiments, the design space could be related to the process signature. This allows for real-time input to production parameters, based on the correlation of the process signature to each parameter, determined in the DoE. If the process signature is this "telling," it would seem to also be a "quick and dirty" way in which to determine legitimacy of an unknown dosage form. As mentioned above, most traditional analysis techniques are either large or time-consuming, they are not suitable to be taken on a field mission by the FDA or US Drug Enforcement Agency, European Medicines Agency, or Interpol, etc. There were previously no alternatives to the slow, arduous chemical and physical laboratory tests for counterfeit drugs or for that matter, tests for pure illegal substances. Now several things have happened simultaneously. The PAT guidance has encouraged manufacturers to measure in places along their process stream where no measurements (certainly not in real time) have been performed before. Previously exotic tests such as isotope ratios (Figure 1) are now considered common. Because of the recognition of potential savings and productivity gains, companies have invested heavily in PAT. This immediately began to attract smaller companies that formerly did not make instruments for the Pharma industry. Of course, traditional instrument companies also got into the act and began modifying their current models for process analysis. The result has been a flood of hardware and software that allows for rapid and complex analyses. The hardware consists of a number of hand-held or portable NIR (Figure 2) and Raman devices (Figure 3 and 4) plus the capacity to store complex Chemometric algorithms for "goodness" or authenticity checks. A number of companies are making libraries of "true" drug products, using their instruments. It is not inconceivable that pharmaceutical companies will contribute samples of either drugs to regulatory agencies or actual electronic spectra in Raman or Near-infrared format for use in prevention of counterfeiting. While better inspections may not stop the entire gamut of counterfeiting of pharma products, quicker removal of false products from the pipeline will become a lot easier. This will eventually lead to inspecting more sites on field with more samples checked at each site. Instrument companies from other industries will surely follow this development in the pharmaceutical industry. Because, the instrument companies making the smaller, hand-held instruments often come to the pharmaceutical industry, indeed, the instrument world itself, from industries such as telecommunications. One consequence is that they do not have a warehouse full of larger, benchtop or encased process instruments that need to be sold before development work may be started on smaller wireless models. This rapid response is what allows "designer models" to be built for the sole purpose of field work. With no "preconceived notions" of what makes a good spectrometer, these new companies are free to design what makes sense to the investigative industries. As these tools are made available to all agencies, they could just as easily be used to inspect gasoline, meat, fabrics, etc. by the agencies responsible for the safety of consumers. As the applications grow, the number of units designed for those uses will grow. It is easy to see that the very tools that are allowing pharmaceutical companies to control the quality of their products can now be used to scan for imitation products. 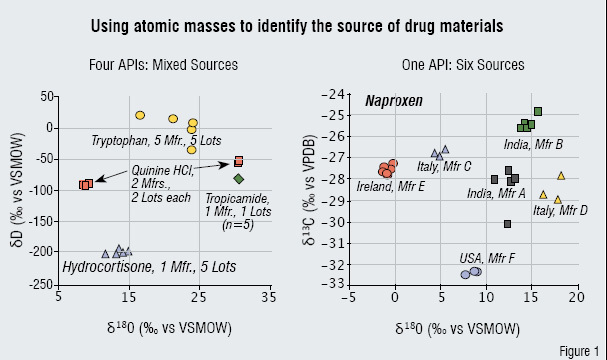 The subtleties of excipients ratios, tablet press "signature", drug substance, and coating specifics all combine to give a "pass / fail" test for counterfeit materials. Thus, it is easy to see what a delightful "surprise" and unexpected benefit of QbD this will be. Adding tools to the marketplace for counterfeiting will only speed up the use of these tools in production. The growth of applications means two things: 1) faster development of newer models and 2) more sales per model. Both these forces will enhance the tools made and allow a larger profit for the instrument companies, allowing more R&D, thus, better tools. So, what started out to be a movement to make a better product, QbD has given us a tool for law enforcement, too. This is the unexpected benefit of PAT / QbD. 1. Guidance for Industry PAT - A Framework for Innovative Pharmaceutical Development, Manufacturing, and Quality Assurance, USFDA, Pharmaceutical CGMPs, September 2004. Emil W Cuirczak is a consultant in the field of Pharma NIR (lab and process), holds patents for NIR-based devices and software, and consults for various Pharma companies, instrument manufacturers, and the FDA. He was a member of the PAT sub-committee (Validation) to the FDA Advisory Board and is a member of the PAT Advisory Committee to the USP. He is past chair of the NY and B-W sections of SAS, is a founder of CNIRS, and 2002 chair for IDRC (Chambersburg Conference). 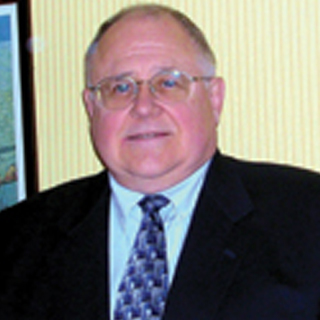 He has taught since 1979 at Stevens Tech, College of St. Elizabeth, Hood College, and Mount St. Mary's College; he teaches short courses (in NIR and PAT) for the ACS, the CfPA (US and Europe), the SPIE, ASSA, and other organisations.